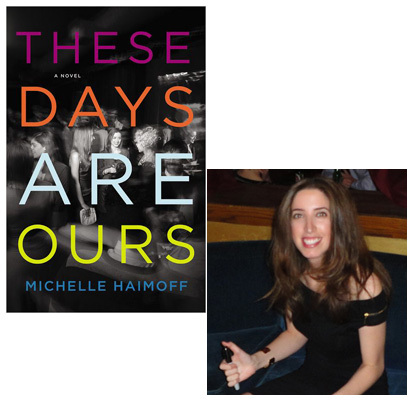 I was recently introduced to Michelle Haimoff at a party to celebrate the publication of her debut novel, These Days Are Ours. It turned out, as she explains below, that the bar where the party was held also appeared in the novel, which is set in New York City in early 2002 and the emotional aftershocks of 9/11. Haimoff and several of her friends commented that it had been about a decade since they’d last been in this bar—in her case, because she’d moved to Los Angeles; coincidentally, I’d met people there a few times in 2000 and 2001, when I first moved to New York, and I hadn’t been back since then, either. As I talked about this with Haimoff, I got the idea that she might want to do a guest essay for Beatrice about revisiting her past and the novel’s settings at the same time… and here we are! These Days Are Ours is set in New York City six months after September 11th. The first scene in the novel describes a group of kids hanging out at an Upper West Side apartment talking about the Oscars. They refer to Tom Cruise’s Oscar speech where he questions whether or not it’s okay to have an awards ceremony in light of recent events. His conclusion: “More than ever.” The Oscars are what people were talking about once again, ten years later, the week my book came out. It was surreal to be back in New York City promoting my novel a decade after it takes place. One of the book events was at Belmont Lounge, a bar mentioned in the novel. I gave the DJ a playlist of songs from that scene as well as other songs from March 2002. Songs like “Someday” by The Strokes and “The Luckiest Guy on the Lower East Side” by the Magnetic Fields. Being in that bar with that music playing with so many friends that had inspired the book was like being in the book. My friends and I had traveled back in time. Later that night, as I was walking with my husband on a New York street in the same unseasonably warm weather in which the book takes place, some drunk guy a block away yelled, “Hey Hailey!” which is the main character’s name. I know he wasn’t addressing me but it messed with my head. “I feel like I’m in Adaptation,” I said to my husband. Maybe ten years isn’t long enough. Maybe if I were back in New York forty years from when the novel is set, stopping by whatever old haunts hadn’t yet been turned into Chase banks, the city wouldn’t seem so similar to the New York I had tried to encapsulate. Then again, maybe New York will always feel haunted to me. I grew up there. I have memories on every corner. Multiple memories. When I moved to Los Angeles last year, I was relieved to finally be somewhere new. If I go to a random diner in LA, at least it’s not the random diner I went to every weekend in 11th grade. If I go to a dive bar, at least it’s not the dive bar where I had a relationship talk with an ex. I doubt I will ever be able to pass by a building in New York City where a friend lived, even a brief friend, without thinking of it as her building. And whenever I see a new restaurant or store on a New York street, I can’t help but think about what restaurant or store it was before, and before that. And now I have the added weight of my characters’ memories. Brenner and Hailey’s buildings on opposite sides of Central Park, B Bar, where the group has brunch, the shoe department of Barney’s, Uncle Ming’s. It’s amazing how real those scenes in the book feel to me. The other day I heard Radiohead’s “High and Dry” and it reminded me of a scene in the book that takes place at No Malice Palace. It reminded me of that scene as viscerally as I’ve ever been reminded of a real memory. I had this idea that after I finished the book, New York City in the early aughts would be behind me. 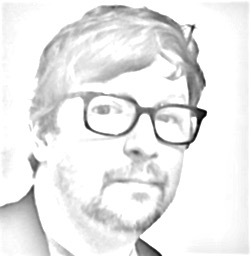 But I’m in my thirties now, married and living in Los Angeles and I’m finding that the novel has done the opposite. It turns out that writing about a certain place and time somehow makes that place and time exist forever.